BEST is a one-part, trowel-applied, tacking moisture-cure urethane adhesive. This advanced, scientifically-formulated adhesive does NOT contain water. 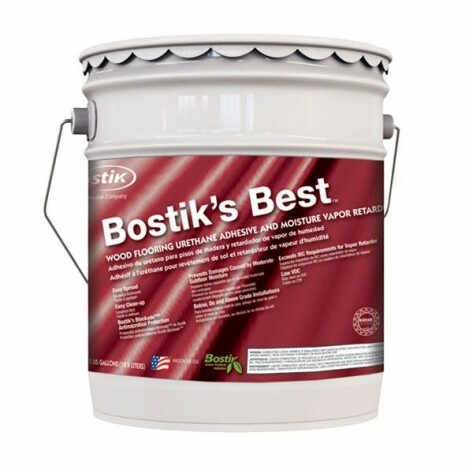 Once cured, Bostik's Best is waterproof and is not adversely affected by exposure to moisture or water; its superior properties provide a tough, flexible, tenacious bond to a variety of surfaces. Bostik's Best's elastomeric characteristics allow the adhesive to move with the wood as it expands and contracts over the life of the floor.